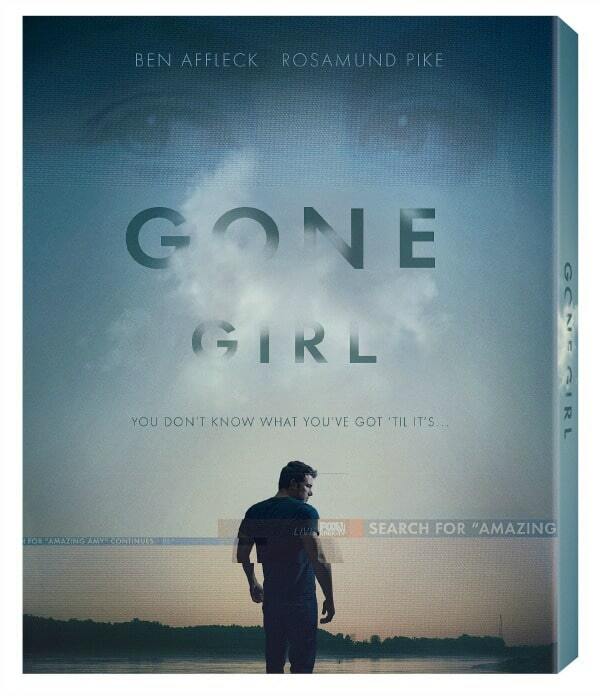 Gone Girl is coming to Blu-ray and DVD on January 13th! I haven’t seen the movie yet, but I have read the book. It’s one of my all-time favourite books. You’ll even find it listed on my post Recommended Books to Read in 2014. After reading Gone Girl, I immediately purchased Gillian Flynn’s two other books, Dark Places and Sharp Objects. Dark Places has a spot on my 30 Books You Should Read in 2015. She is an amazing author and talented storyteller. Needless to say, I can’t wait to watch the movie, Gone Girl! Gone Girl, directed by David Fincher and based upon the global best seller by Gillian Flynn, unearths the secrets at the heart of a modern marriage. On the occasion of his fifth wedding anniversary, Nick Dunne (Ben Affleck) reports that his beautiful wife, Amy (Rosamund Pike), has gone missing. Under pressure from the police and a growing media frenzy, Nick’s portrait of a blissful union begins to crumble. Soon his lies, deceits and strange behavior have everyone asking the same dark question: Did Nick Dunne kill his wife? I haven’t read this one yet, great giveaway, thanks! This is an awesome opportunity. Thanks for the chance to win them! Loved the book!! I would love to see the movie!! I have heard such good things about the book. It’ll be nice to compare it to the movie. Thanks. Thanks for the great prizing opportunity. Cheers. Looking forward to see the movie and read the book. I love movies and would love to win this one. I would love to read this book and watch the movie! I have heard some great reviews and comments about this book. It would be awesome to win the book and the movie too! Thank you so much for this chance to win them.